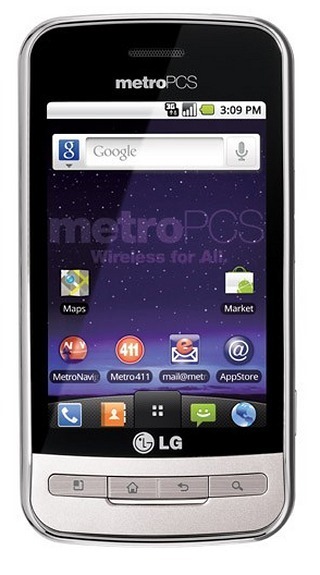 The latest carrier to secure a version of LG's newest entry-level phone - the Optimus One - is MetroPCS, the country's fifth-largest carrier. It will be the carrier's first Android phone, and will cost just $229 with no contract and $50 for a monthly plan that grants access to unlimited data, talk, and text. The phone will be available in stores and online on November 24, just in times for the holidays. Check out the press release below for more information. 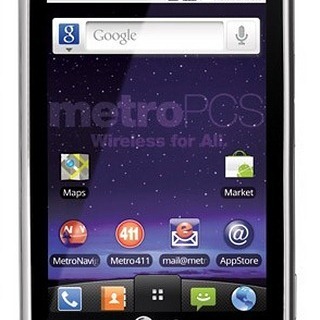 DALLAS, Nov. 22, 2010 /PRNewswire via COMTEX/ -- Just in time for holiday shopping, MetroPCS Communications, Inc. (NYSE: PCS) and LG Mobile Phones announced today the launch of LG Optimus M(TM), the first Android smartphone from MetroPCS. Available in MetroPCS stores and online starting November 24, LG Optimus M is a sleek Android device with a vibrant 3.2 inch touchscreen that allows consumers to do more with quick access to today's expanding number of applications. With the LG Optimus M, MetroPCS introduces consumers to the growing Android Market(TM) by helping them stay connected and entertained while on-the-go. With multi-app screens and the Android 2.2 operating system ("Froyo"), LG Optimus M provides instant access to more than 100,000 of the latest applications to fit anyone's lifestyle. The $50 per month no annual contract plan allows consumers to take advantage of Metro USA(SM) nationwide unlimited talk, text and web services. "This holiday season, we're giving customers what they've wished for -- an affordable Android smartphone with a full spectrum of applications and unlimited services to do more like never before," said Roger Linquist, chairman, president and CEO of MetroPCS. "LG Optimus M opens a path to the growing Android market and takes us one step closer to providing a full-service, postpaid experience while maintaining the affordability, flexibility and predictability of our Wireless for All(SM) services." "LG and MetroPCS have come together to offer consumers the first no annual contract Android smartphone at an exceptional value," said Tim O'Brien, vice president of consumer and trade marketing for LG Mobile Phones. "LG Optimus M is an easy-to-use handset with the capabilities of the latest Android technology and features to enhance the consumers' experience."